The Wii had a long run with so many truly fantastic games so it was very hard for me to decide my personal favorites, but after hours of thinking I have come up with my list of the best retail Wii titles to share with the rest of the community. Pandora's Tower is an action-adventure title that has a deep romantic, yet tragic story in which you must guide the protagonist through thirteen towers to stop the curse that is turning his beloved into a monster. 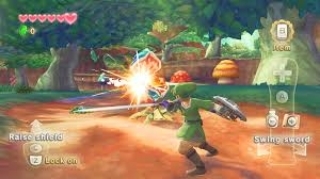 The game is very beautiful and the gameplay is very similar to The Legend of Zelda series. 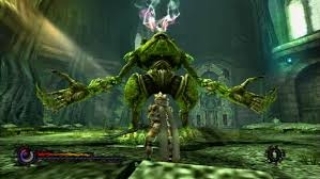 These qualities have earned Pandora's Tower a spot on the list of best retail Wii games. Mario Kart Wii is a beautiful game that revolutionized the series in so many ways. For the first time players could race on 16 retro Mario Kart tracks from other games in the series and 5 hand-picked battle stages from the earlier games in the series. The game also brought new pick-ups and the fun Coin-runners battle mode to the series which are so fun to play online! Mario Kart Wii has a much improved online mode that is much better then what was seen in Mario Kart DS and to this day many players still play this game online! The courses are so unique in the game and the music is so wonderful that it's easy to immerse yourself into the game! 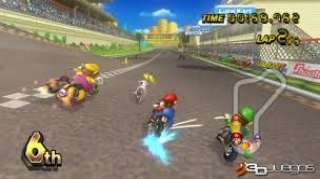 I loved this game and still do which is why Mario Kart Wii is one of my top 5 picks. TLoZ: Skyward Sword is one of the best motion controlled games that I have ever played. The game has so many memorable characters and such a touching story that I loved. Soaring through the skies is so much fun and the world is not only massive, but beautiful too! The orchestrated music is just breathtaking I've never heard such beautiful music before in a Zelda game! There are just so many reasons to love this game, so it was an easy choice for the Top 5 retail Wii games feature. Those were my choices for the #5-#3 of the best retail Wii games, I will post part two tomorrow. I hope you enjoyed this feature! The Wii had some truly monumental titles to be sure. I didn't get to play Skyward Sword, but I'd like to eventually. 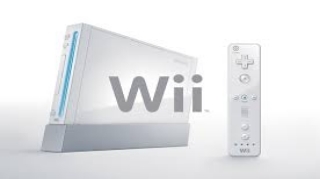 The Wii was a nice console. Great work on the article. I predict that Xenoblade will be listed in part two. Completely forgot Pandora's Tower was a thing. Spent hours upon hours playing Mario Kart. First game I picked up with my Wii console. Never got around to playing Skyward Sword, although I'm more than certain it delivered the way it should have. Nice article Clannad! cant wait to see the rest of this list. I did a similar one back in 2012 for Wiiwarewave also.